Pecks has long been renowned for its dramatic style of presentation, transforming the restaurant into a "Theatre of Food" and providing a unique and complete dining experience. Dinner menus change each month to accommodate the very best seasonal produce, with many ingredients sourced from the surrounding verdant countryside, grown and reared by trusted local suppliers. 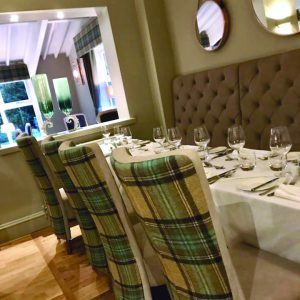 The restaurant is open as a relaxed and sophisticated lunchtime venue, when light meals or more substantial choices from our à la carte menu are available. We offer a Plat du Jour Menu of two or three courses, if you would like to know Chef's choices for the day, then please phone us after 10am. Pecks Traditional, Luxury and Gents Afternoon teas are available 12.30pm to 3.30pm, Tuesday to Saturday. As we use the freshest ingredients, pre-booking your choice is essential. Guests continue to relish Pecks renowned seven-course gourmet "Dinner at Eight" programme. Diners are invited to arrive at 7.30pm to experience the staging of our theatrical cavalcade of culinary delights that await them. Pecks is famous for quality and your wedding will be special with us as we guarantee to impress you and your guests. We have put together a very impressive package for your intimate wedding day. 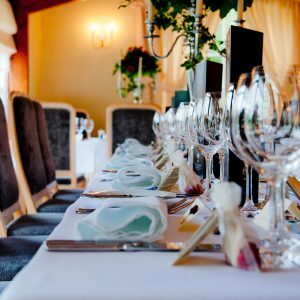 Pecks is available for any special celebration, including birthday, baby showers, anniversary, private parties, business meetings and groups and organisations. Les can create a bespoke Menu for any occasion.